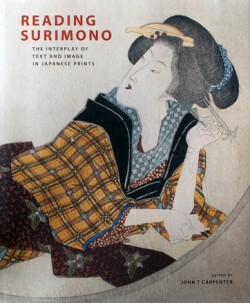 This full-colour catalogue illustrates and describes over 300 surimono (privately published deluxe Japanese prints) belonging to the Graphics Collection of the Museum of Design Zurich, which were recently placed on long-term loan to the Museum Rietberg Zurich. Originally bequeathed to the Museum of Design by the Swiss collector Marino Lusy (1880-1954), the collection includes many rare and previously unpublished examples. Edited by John T. Carpenter, with contributions from a distinguished roster of Edo art and literary specialists, this groundbreaking scholarly publication investigates surimono as a hybrid genre combining literature and art. Introductory essays treat issues such as text-image interaction and iconography, poetry and intertextuality, as well as the operation of Kabuki fan clubs and poetry circles in late 18th and early 19th century Japan. Other essays document Lusy’s accomplishments as a talented lithographer inspired by East Asian art, and as an astute collector who acquired prints from Parisian auction houses and dealers in the early 20th century. Translations of kyoka (31-witty verse) that accompany images are given for all prints. The volume also includes a comprehensive index of poets with Japanese characters. This publication is not only indispensable to specialists in ukiyo-e, but has much to offer any reader interested in traditional Japanese art and literature.